Welcome to the Poepoe Agency,we are an Independent Insurance Agency located in Cranberry Township,PA serving all of Pennsylvania as well as Ohio,Florida,Michigan,North Carolina and Arizona.We offer all types of Personal Insurance coverages to our clients including Car, Home, Flood, Business, and Rental Dwelling. We can also assist you in protecting you and your family with Life Insurance and benefit coverages. Call us to see how we can help you (724)-272-5491. HO-3 vs. HO-5 - Which one should you opt for? Home insurance requirement of an individual is definitely not the same as that of his or her neighbor. To fit the requirements of the individuals, the home insurance policies take different forms. HO-3 and HO-5 are two common home insurance policies which you will find among homeowners. Standard homeowner's insurance offers coverage for certain named perils or risks.The insured would only receive compensation if it is proved that the property damages or losses took place as a result of one of those named perils or risks. A HO-3 policy is an named peril policy. To understand them better, you must know about open peril or risks and named perils or risks. Insurance policy which offers coverage against almost all forms of risks that can cause damage to a property. In a named peril policy, specific risks are mentioned against which the insurer provides coverage. If the property damages, occur due to any other peril or risk other than those mentioned in the policy, the insurers will deny paying for the loss. Below are the 16 named perils or risks that an for a HO-3 homeowners policy covers. 16. Accidental Discharge or Overflow of Water from Plumbing, Air conditioning etc. 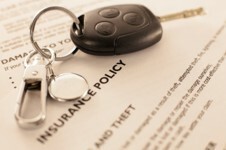 Coverage- A HO5 policy is considered better than a HO-3 insurance policy as far as coverage is concerned. 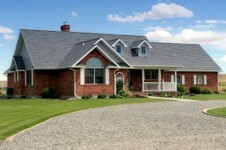 It is so, since the former ensures wider coverage for both the structure and the contents of the insured home. If you have to pick between a HO-5 and a HO-3 homeowners policy, the former ensures the better coverage. An open perils or risks policy is evidently a better choice than a named perils or risk policy. If your agent says you have the ultimate or preferred package or whatever they call it and they say its equivalent to an HO-5 policy ask him or her this one question then you will know whether it is an HO-5 homeowners policy. Ask him or her this "if I accidentally drop a glass of wine on my carpet and the stain will not come out or my plasma TV fell off the wall or stand will your policy replace my TV or carpet?" If he/she says yes then you have an HO-5 homeowners policy.